It’s hard for us to believe that the 1980′s began over thirty years go. At least, it’s hard for me to accept that notion. Back then, a lot of us were kids, and these days, a lot of you have children. As parents, it is your job to make sure that your child has the best nourishment, and that includes both food and media consumption. You can’t let your children watch any old crap, which is why its important to pick and choose carefully. 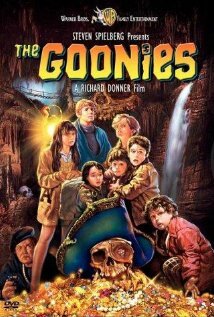 I've addressed this topic before, giving you all eight movies from the 80's your children must see. Obviously, I'd left a few off the list so I'm offering eight more essential movies that you, as a parent, have an obligation to show your kids. These eight movies from the 80′s that helped define our childhoods and teen years, and if they were good enough for us, they are good enough for our kids. I'm a writer. I'm also a husband, a teacher, a speaker, an actor, a geek, a gamer, a Believer, a rabble-rouser, a procrastinator, a guy with big dreams and great hair, and a whole lot of other things. But I'm a writer. I knew I loved writing ever since I skipped recess in first grade to finish writing a story. Now I share what I have with you, and I hope you enjoy it. How I Met Your Mother: "46 Minutes"
How I Met Your Mother: "Tailgate"